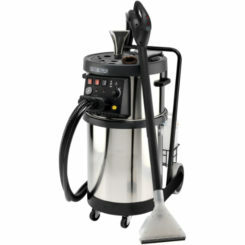 The CTM Etna 4000 is a multipurpose machine: cleaning with detergent, steam, steam with detergent and hot water. 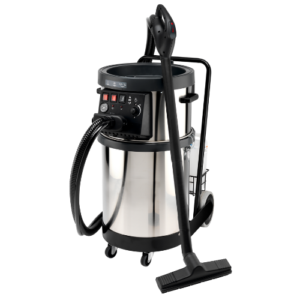 Equipped with a compressed air connection and pressure gauges for air and steam, the Etna 4000 is perfect for car interior and exterior cleaning and sanitation, carpet cleaning with steam, window cleaning, lift sanitation, food and kitchen environments sanitation, bathroom cleaning and mattresses and fabrics sanitation. 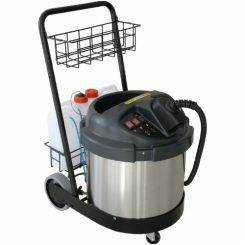 Ideal for car dealers, car washes, garages, car body shops and contract cleaners.